Can you use Kodi without VPN? How to use VPN with Kodi? How to Install VPN on Kodi (OpenELEC Krypton – Kodi VPN Raspberry Pi)? How to Install VPN on Kodi (OpenELEC Isengard – Raspberry Pi)? How to install/setup Kodi VPN on Firestick /Fire TV? How to install/setup Kodi VPN on Windows? How to install/setup Kodi VPN for Mac? How to Setup Kodi VPN through DD-WRT Routers? How to install/setup Kodi VPN on iPhone, iPad and more iOS Devices? How to install/setup VPN for Kodi Android? How to Add Channels on Kodi? Kodi is an open-source media player software application which allows its users to play and view most streaming media, such as videos, music, podcasts, and videos from the internet, as well as all common digital media files from local and network storage media – and it’s totally free. But first, what is Kodi VPN? A Kodi VPN is an encryption tool that safeguards your online privacy and identity. An example of a VPN for Kodi would be Ivacy itself which is by a mile, the safest and the easiest choice to dodge geo-restricted walls to stream Kodi channels and at the same time securing your privacy from copyright advocates. While many channels are easily accessible for free however most US and UK-based streaming channels, for example, ESPN and BBC iPlayer, as well as live TV, is blocked. Streaming restricted TV Shows & Movies can be a punishable offense in your region. Use a VPN to hide your identity and encrypt your web traffic. The natural way to get around that region blocking issue is to use a Kodi VPN. Activating your VPN before running the Kodi app allows you to surf movies and TV shows without being blocked by region restrictions. Another common issue with Kodi users is that they, more often than not, end up getting a notice for streaming. That’s because of the status of Kodi’s addons. We will discuss that a bit later in the coming section but the point is, the users of Kodi often have to use an anonymous VPN service with their Kodi device or app to make sure their data is totally encrypted and so, they’re protected from being sniffed out and as a result, safe from any legal or any sort of notice. The most asked question on the internet and the answer to it is “Yes”, Kodi is legal, absolutely legal. That being said, there are technicalities. The problem arises with the open source nature of Kodi and from where the streaming content is coming from. Although there are various different Kodi addons to stream content from, not all add-ons are official. If a user is sticking to the official Kodi add-ons, that is absolutely legal. On the contrary, 3rd-party add-ons offer free content from several sources that are deemed illegal in a lot of countries since users can use those add-ons to stream the latest movies and TV shows. And since Kodi is open source with most 3rd-party add-ons coming from sources other than the official, shutting down these third-party add-ons is somewhat impossible. So, whenever authorities or bodies have stepped up to take down a repository or an add-on, another substitute addon rises up in a jiffy. 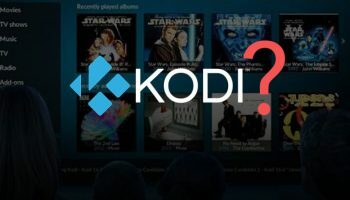 And so, Kodi itself is entirely legal, but questions are always raised about how the aforementioned third-party add-ons provide streaming content. Gain unrestricted access to any channel on Kodi, from any location and unblock shows like HBO’s Game of Thrones, UFC Pay-Per-Views, Netflix’s House of Cards, Arrow, Doctor Who, Stranger Things etc. VPN is not a prerequisite for Kodi which means yes, one can easily use Kodi without a VPN. Though, it is highly recommended to use a VPN for Kodi to safeguard your online privacy and security. While using the Kodi platform you are heavily engaging with quite a lot of third-party add-ons, which contains a risk of copyright issues. 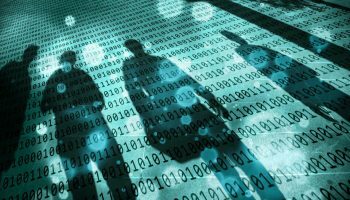 Similarly, ISPs and copyright advocates tend to monitor your internet traffic and track you down. Likewise, Kodi because of its open-source nature is defenseless to cyber attacks. As a result, the information you put in Kodi is able to get in the hands of hackers. Considering the said risks, it is advisable not to use Kodi without a Kodi VPN. Every so often you would encounter an inaccessible add-on on Kodi. That is because geo-restrictions do not allow anyone outside of a chosen location from streaming content on certain add-ons. Nevertheless, with the help of a VPN for Kodi, you can stream geo-blocked add-ons like a breeze. If you tried accessing the BBC iPlayer addon to stream content without a VPN connection and got the error – you are not alone. You will be finally able to access the geo-blocked addon and can enjoy streaming! To change the server location, click on “Change or disconnect VPN connection” and select the server location of your choice and it will connect automatically. Congratulations, you are now ready to use Ivacy Kodi add-on! Ivacy offers its exclusive OpenELEC VPN add-on for Kodi, including prior builds such as Isengard (15.0 and onward). Just follow these steps to configure VPN on Kodi. By the means of a compatible VPN for Kodi Firestick, Amazon Fire TV users can relish unlimited geo-restricted content on Amazon Fire TV. After setting up Kodi on Firestick /Fire TV, next thing to do is bypass all the geo-restricted content and accessing limitless action, adventure, Live TV, documentaries and sports channels on Kodi. Setting up a VPN over Firestick or Fire TV requires you to configure the VPN over your router. That’s it really. You can refer to the router section of this post to learn how you can configure Ivacy over your DD-WRT router. Note that configuring VPN over router may slightly vary from one VPN/Router provider to another. Once the VPN is configured over your router, all you’ll have to do is just fire up your firestick and start streaming all the movies and TV shows uninterrupted and anonymously. By equipping your streaming device directly with a Kodi VPN, you can bypass geo-restrictions and secure your online privacy at the same time. Setting up a Kodi VPN for Windows is as easy as ABC. Before it begins, start by downloading a VPN on your system. Enter login details > open Kodi > stream movies and TV shows! Upon successfully setting up Kodi VPN on Windows, you have unleashed unlimited entertainment. Go to the Kodi console, install your favorite channel add-ons and keep streaming. You will be able to access all channels restriction-free in premium HD quality for selected channels and that too at super-fast speed, need we say more!? Instead of equipping each device individually with a Kodi VPN, setting up a VPN on routers offers a greater advantage. 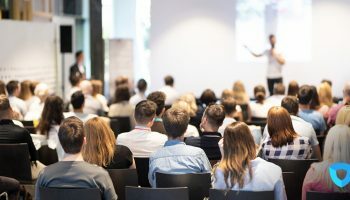 Through that, not only will you be able to go fully uninterrupted, you’ll also be able to secure each device connected to that router including your laptop and smartphone. In the below demonstration, we will be showing you how to setup Kodi VPN on any DD-WRT router. The demonstration below shows how to setup Kodi VPN on Tomato routers using PPTP protocol. Scroll down to the page and hit Save. Your VPN connection should now be up and running. Note: Although, VPN connection via router will encrypt your internet traffic and anonymize you, the address you configure on router level will not be able to unblock every geo-restricted addon. To unlock those geo-restricted addons you will have to change the server’s address again. When talking about Apple’s iPhone and iPad, what rings in mind are its top features, stylish design, high-grade security, and extravagant looks. But, when bringing Kodi into the equation with iPhone and iPad, accessing popular channels and media content is simply impossible, thanks to geo-restrictions. Therefore, we provide you with an easy setup process below that will help you to install the best Kodi VPN on iPhone and iPad. Upon successful Kodi VPN installation on an iOS device, your device would become a one-stop shop for unblocked on-demand streaming content from around world. When using Kodi on Android devices, Kodi VPN for Android provides a better, safer streaming experience as you bypass restrictions and stream your favorite content without the fear of any notice or action. While ISPs and copyright authorities are always on the look and spying over your online activities, a VPN for Kodi makes you appear anonymous and protects you from prying eyes over the internet with the help of leading-edge split tunneling and super-secure encryption. Similar to several other open-source platforms, Kodi as well does not come pre-loaded with a channel library. Setting up channels on Kodi is another thing to know. In order to experience the best streaming on Kodi, users are required to install add-ons manually. Mentioned below are the simple steps guiding you to add channels to your Kodi device. On the options panel, click Get More. Upon loading, you will be exhibited with numerous broadcasting channels that allow you to stream online. Select the channel you wish to add to your Kodi library. For example, I have selected Channel1. The channel add-on will download itself, and you will see a tick mark on the channel’s name. The channel’s content is now ready for streaming. Select a program and enjoy! Channel1 was just an example. In addition to Channel1, you can stream many channels on Kodi simply by installing the add-ons as described in the manner above. Premium channels include ESPN3, Fox News, ET Canada, BBC, and MTV.it on demand, NFL Game Pass, Disney Channel amongst numerous others. Kodi media player has become the impeccable home of entertainment, offering movies, TV shows, live sports, and live IPTV channels. With the support of third-party Kodi add-ons, you are capable to stream the latest media content. However, when accessing several channels on Kodi, users face obstacles such as geo-restrictions and internet censorship barriers. With the help of a Kodi VPN, users can unblock those barriers and experience uninterrupted streaming at all times. To straightaway bypass the restrictions and watch unrestricted blocked content on best Kodi add-ons, use Ivacy VPN for Kodi which is the top Kodi VPN provider. 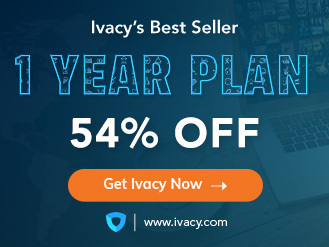 With a range of 1000+ servers located in 100+ locations of the world, Ivacy is the best VPN for Kodi 2019. 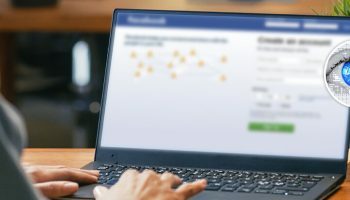 Facebook Caught Mimicking The Big Brother, Something You Should Know! 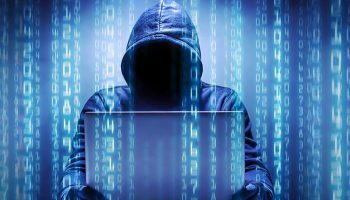 A Breach That Jolted The Internet – Data Leaked In A Massive Breach!